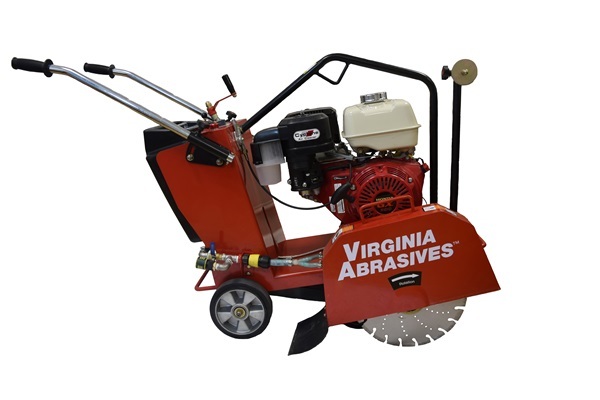 The Virginia Abrasives FS18M is a saw built for tough jobs and durability. This walk behind floor saw is powered by a reliable Honda 13 horse power GX390 engine with cyclonic air filtration. Two way adjustable handles for ease of use and transportation. Built in lifting bail and water tank. Removable blade guard with quick disconnect. Quick release arbor shaft with self-aligning pillow block ball bearings. 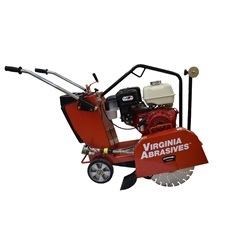 Maximum blade capacity, in. : 18"
Wheel Diameter: Reat 8" | Front 4"